Mesa Enchantress and Kor Spiritdancer , too. 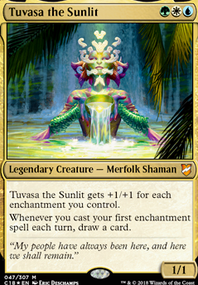 Captain Sisay ; bit expensive card, but allows you to tutor for a lot of powerful stuff in your deck. 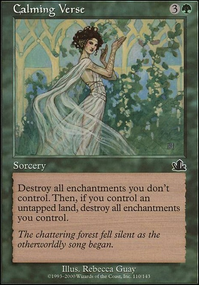 Bloom Tender ; also a bit expensive card, but the mana from him is great. 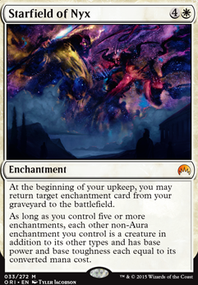 Greater Auramancy ; makes your gods even harder to remove. 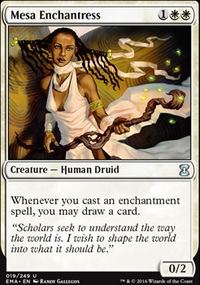 Enchantress's Presence / Mesa Enchantress : because you could use some extra draw. Heroes' Podium : superb boost for all your gods and is a filter to boot. 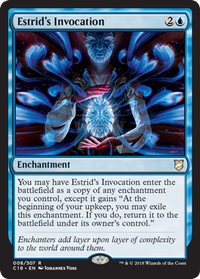 Sphere of Safety , Bruna, Light of Alabaster , and especially Hypnotic Siren are risky is modern- it's such a fast format and your opponent may well have no large creatures. 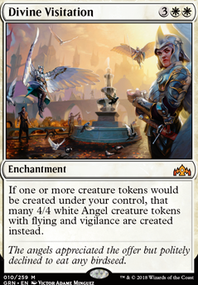 Ghostly Prison would probably do ya better than Sphere of Safety and Mesa Enchantress is probably better than Hypnotic Siren and Bruna, Light of Alabaster (none of your auras cost much to equip anyway, and a little more draw never hurt anyone). 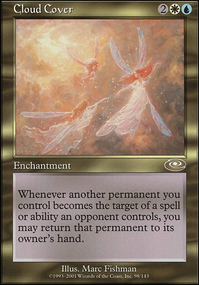 That being said, enchantment voltron is a really fun thing to play in commander. I played it for a while. Trying to find a decent new commander. 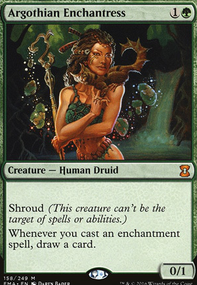 I have a great buddy of mines who played Bruna, she is a lovely commander~ Hope these suggestions help!